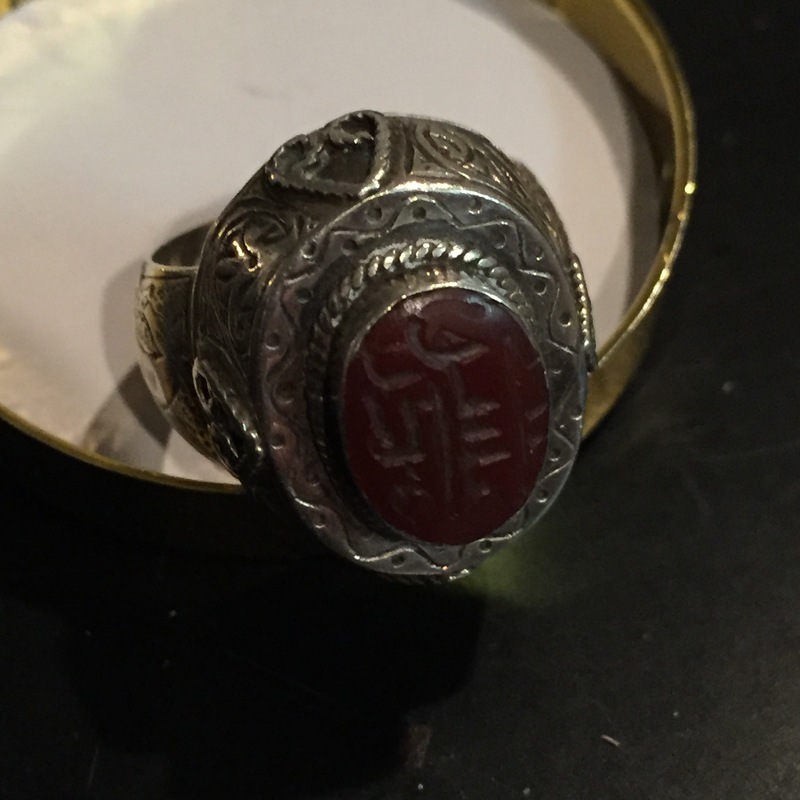 I was told This ring is a late 1800s early 1900s have no other information about it other than it’s supposed to bring alot of good luck and good energy. This appears to be a silver metal, possibly 800 to 925 sterling with a carved red-semi precious stone cabochon center. This is in the style of jewelry and rings that come out of Tibet. However, most cabochon rings were made in Egypt as scarab jewelry to emulate the dung beetle.. The overall form is likened to a stepped ziggurat, which is associated more with Egypt than Tibet. At oldest, this is circa 1900. The estimate is based on past recorded auction sales of comparables.